The mountains of the Sierra de Gredos lie to the north west of Madrid and regularly feature in la Vuelta - the Tour of Spain. As well as providing the opportunity to tackle some interesting climbs on quiet roads, travelling west through the Sierra de Gredos leads to the fascinating area of northern Extremadura. The return to Madrid contoured the slopes of the hills to the south of the river Tajo, through some very quiet roads, eventually leading to Toledo and Madrid. The mountains of the Sierra de Gudar and El Maestrazgo lie due north of Valencia. Maestrazgo spans the boundary between Aragon and Valencia. It is one of the most sparsely populated areas of Spain, rich in historic detail and with a fine network of roads that link the ancient villages. Returning to Valencia from the west, via the Sierra de Javalambre, provides access to some quite different but equally impressive roads and scenery. This webpage is intended to provide information for cycle tourists who may be considering tours in the countries I've visited. For more information, journals and pictures leave a message in my guestbook or send me an email. Although the tour that I had on the legendary climbs of the Tour de France in 2004 tempt me back to indulge in nostalgia, this year (2005) I decided to bicycle on the cols of the Giro d'Italia and the Tour de Suisse, and beside it to take part in the hard Fausto Coppi bicyclemarathon / gran fondo, which is a real challenge with its 187 km and has 4400m height difference. Before the fantastic marathon, I bicycled to France to climb the Col de la Moutiere, and when I were there it was logical to climb also the 2802m Cime de la Bonette. Both cols are unforgettable. Next to Briancon I enjoyed the nice Col du Granon (2413 m) which was not only steep but very beautiful. In 2005 at the Colle Finestre (Italia) there was a hard fight between profi Giro d'Italia racers; on my tour I had the most remarkable experience after a light rain, when the Sun could shine between the clouds. In Switzerland I had cold weather for days, but I could climb nice cols. I loved Grimselm because I enjoyed very much the feeling of a triathlon race, and I loved Gotthard because its ``old'' feeling - thanks to the cobblestoned road. In the last 3 days - through sunny weather - I went up to the legendary Passo Gavia, Passo Rombo / Timmelsjoch and last day the 2829m high Gletscherstrasse. The highest point on the last day! Danube Bikeway starting from Passau, Germany to Vienna Austria. 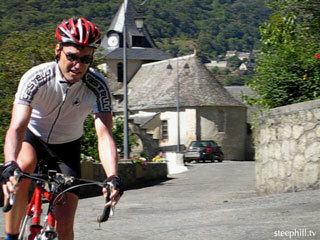 In 2004 I succeeded in cycling through the French Alps, which had been one of my Great dream, plan for years. For years I felt that a tour in France can have more problems than in the nearer countries, but with the experiences of my tour in 2003 (along the Adria and to Montenegro), in 2004 I felt enough encourage to cycle up to the famous french cols. I had read a lot of travelogues (Trento Bike Pages, Velofahren.de, biketrip.org, etc.) and I tried to think about every problems which can occur through a French Alps tour: weather, busy campings, the effects of the Tour de France, and maybe some mechanical problems, etc. In the first two days and in the last two days I had some problems, adventures, but just between the high mountains of the French Alps everything happened well. During the 12 days between the mountains, I climbed almost all of the passes / cols, that I planned for the whole tour, this means 21 serious ascents, 13 of them are above the height of 2000 m. The most famous cols where I cycled are: La Bonette (2802 m), Col du Galibier (2645 m) , Col d'Izoard (2361m) , Alpe d'Huez (1860m), Col de Iseran (2770m), Col Agnel (2744m), etc. Although there was 1 or 2 rest days in the plan, as I didn't have any serious - whole day long - rain through the tour, every day I was riding my bicycle. The beautiful nature and the experiences, adventures, ascents gave my power to climb them. Usually 1-2 days with panniers were followed by a ``light'' day without panniers (but with 2 climbs). A travel bike from Villa O'Higgins to Puerto Montt. It began as a crazy idea whilst on holiday in France back in 2003 and within a couple of weeks had turned into a serious plan. Now after two years preparation and a couple of false starts we're finally off. The plan is to ride from our home in Chesham to the south coast city of Portsmouth where we can catch a boat to Bilbao on the north coast of Spain. Then we'll cross France to the Black Forest in Germany where we can pick up the famous Danube cycle path which we plan to follow to east to Vienna. After that we want to spend a couple of months in the Alps before heading south for a lap of Italy. The final leg of the tour will see us cross France again to the Pyrenees before we head south to Spain where we plan to follow the coast round to Portugal and back into Northern Spain where we can catch the boat back to England. It's just a hill, in the grand scheme of things. Only different. Not because it's 10,023ft at the summit, but because this is one of those rare mountains that you can literally start at sea level... well, not just sea level, but actually at the sea! You don't have to do the ride that way though; you can start at the base of Highway 37 (near the airport), and pretty much eliminate the chance of taking a wrong turn and adding another 1700ft to the climb. But what's the fun in that? The climb isn't challenging because it's steep (it isn't), but rather the length. You start climbing and never, ever stop, until you reach the top. Lots and lots of photos on our page, along with a printout from a HAC-4 heart monitor/altimeter. This was my second European bike tour, primarily following the Rhine and Mosel rivers. I started in Frankfurt, cycled down the Main to Mainz, then north along the Rhine to Koblenz. I then went up the Mosel Radweg as far as Metz, France, took a train over the Vosges mountains to Savern, then followed the Marne au Rhin canal to Strasbourg. I concluded my trip by again following the Rhine, back to Mainz and Frankfurt. These pages describe a week long cycle tour through Southern Tuscany in May 2005. A number of the rides were inspired by Iris Origo's compelling description of life in Tuscany during the Second World War ('War in Val d'Orcia - An Italian War Diary - 1943-1944') and James Hudson's article ('Tuscany, the Hills, the Gelato') in the January/February 2005 issue of Adventure Cyclist which was illustrated by Sue Kemp's water colours. A number of articles in rec.bicycles and rec.travel about the Oregon Coast inspired me to take my first long distance bicycle tour. I flew to Seattle from Denver on the 10th of July with a plane ticket to return from San Francisco on the 28th. If there was anything that I didn't like about this trip it was that deadline. I felt free except for the schedule I had to keep. This article is a personal narrative about my journey from Seattle to San Francisco following highways 101 and 1 along the Pacific Coast. Every day is different. If you bring expectations from yesterday into a new day you increase the chance for disappointment and you waste time and energy trying to overcome that disappointment. Everyday unto itself. This tour changed my life. I had never felt more alive. I left seeking a new way to see the world and I found me. Comfortable, affordable motels are spaced every 20-30 miles and you can take either 2 or 3 days to ride the Gorge--surely one of America's most awesome cycling experiences. En route, I pedaled up two superbly scenic--and fairly gentle--climbs, each around 750-feet in elevation gain--and with stunning panoramas from both summits. Along the way, I also spent a couple of hours touring Bonneville Dam where salmon were leaping up fish ladders. My day-to-day report tells exactly how I made this two-day tour and it's packed with advice and map sources for anyone wishing to duplicate my route. (Tip: it's just a six-hour drive between the Gorge and Spokane WA, end of my ``Touring the Northwest'' trip (see report on home page menu) and you can squeeze both tours into a one week vacation. New York State's long, spindly Finger Lakes are webbed by roads that take you pedaling along lakeshores or over rolling hills, past world-class vineyards and picturesque farms, to quaint towns and villages with elm-lined streets bordered by elegant Victorian houses and gardens. From high ridges, I viewed breathtaking panoramas of the sparkling lakes below. On quiet backroads, I met Amish carriages drawn by high-stepping horses. And I spent the final two days on a flat 90-mile ride along the car-free towpath of the Erie Canal, cycling next to a series of still-operating locks and 19th Century towns, each with a unique lift bridge across the Canal. My trip took 14 days and covered nearly 600 miles and I spent each night at a comfortable, affordable motel in traditional towns like Auburn, Geneva, Watkins Glen, Penn Yann, Canandaigua, Brockport and Lockport. Small wonder this is one of America's most popular bike tours! And if you'd like to ride it yourself, my full report not only describes my day-to-day cycling experiences but also gives full map and info sources for duplicating my route on your own. We take two weeks bike tour at Romania. We started our trip from Csík (Ciuc) basin, across Carpathians to Moldova (part of Romania). When we left Moldova, there was a terrible waterflood (you can see it in the pictures). We joined three traditional dance festival: Csángó festival at Fundu Racaciun, an other at Ghimes, and Gipsy festival at Commandau, and recorded traditional folk songs, you can find them (and others) in our home page. Up in Northern Idaho and Washington, a series of 4 car-free bike trails linked together form one of America's newest bicycle tours. My 4-day tour began high in the Bitteroot Mountains with a wildly scenic ride down the Milwaukee Road's Trail of the Hiawathas, former route of the famous Hiawatha Scenic Vista Dome train. The line went bankrupt in 1977 and the Hiawatha stopped running. Today, though, you can enjoy the same scenic adventure on a bicycle, including traveling through the same 9 cavernous tunnels and across the 7 high steel trestles used by the train. Next, I rode a 12-mile stretch of the former Northern Pacific railbed through emerald forests then switched to a paved stretch of the former Union Pacific Road that led for 66 spectacular miles through a wilderness of tall mountain peaks, rivers, lakes and wetlands and past historic mining towns to the Victorian village of Harrison, perched on a hilltop overlooking beautiful Lake Coeur d'Alene. I completed the trip by riding another 62-miles on the paved Millenium Trail beside Lake Coeur d'Alene then west along a cascading river into Washington and the city of Spokane. My day-by-day report not only describes how I biked this 160-mile tour but also gives full map and info sources for duplicating my route. Using a unique routing strategy, for instance, I was able to ride the whole way either on the flat or downhill. And I found comfortable motels or guest houses a day's ride apart the entire way. Almost every year, I spend a bike touring vacation at Frisco CO, staying in the same motel while each day I bike out and back on a complex of paved, car-free bike trails that wind past colossal mountain scenery to famous ski resorts like Breckenridge, Keystone, Copper Mountain and Vail. One easy trail hugs the shore of huge Dillon Lake to Keystone. Another winds up to the posh resort of Breckenridge. And a third climbs through awesome Ten Mile Canyon to Copper Mountain and on up over Vail Pass (10,600 feet, 3250m) then drops down to the Alpine-style town of Vail. Using fat tires, I usually spend a day cycling up the unpaved road to Boreas Pass (11,480 feet, 3500m) where America's highest railroad depot still stands. Then for a change, I'll rent a kayak and paddle around Dillon Lake for a few hours. But there's lots more. It's just an hour's drive to nearby Georgetown, an unchanged Victorian mining town and from here a paved bike trail leads up to Silver Plume, a fascinating old mining town still much as it was in 1880. Heading back down, a low-traffic paved road leads to Idaho Springs, your motel base for cycling America's highest paved road that leads for 28 miles to the summit of Mount Evans (14,264 feet, 4360m). And with a mountain bike, still more exciting rides await, all in a world class setting of breathtaking grandeur. My website describes how I biked each trail, then gives loads of advice, and full map and info sources, for riding these trails on your own. Trail reports and best strategy for touring 4 of America's longest Rails-Trails conversions that take you cycling through America's rural heartland on former railroad beds, converted to car-free bike trails, with comfortable, affordable motels a day's ride apart. Day-by-day, these reports describe how I cycled each trail plus loads of info and advice for anyone wishing to cycle the same route. The trails are: Root River Trail, 60 paved miles (100 kms) along Minnesota's beautiful Root River, 2 days, McElroy-Sparta, 105-mile (170kms) trail system along Mississippi River in Wisconsin, smooth-unpaved, 4 days (can be combined with Root River Trail), Mickelson Trail, 109-miles(175kms)on smooth, unpaved trail through historic, Gold Rush country of South Dakota's Black Hills, 3-4 days. The 225-mile (362-km) Katy Trail along the Missouri River in Missouri, smooth-unpaved, 4-5 days. All are fairly level, easy rides through historic railroad towns and scenic countryside rich in Americana and wildlife. 27 days of cycling throughout the Pyrenées and Cantabria (start and finish in Lourdes). On 27 days I cycled 4474 km (165,7 km/day); 83551m (3095m/day) (height meters) and visited ca. 241 cols. (Only counting the 24 full cycling days, I did 4131,5 km (172,1 km/day) and 77108m (3213m/day).) The longest day was 274,5 km from Esterri d'Aneu in Spain to Lourdes (via Mourenx). Max height meters on one day was 4270m. Got a gold classification in the l'Etape du Tour race (the day after cycling 274,5 km) on a half-decent time around 6h30mins (ca. 2 hours slower than the Tour de France winner this year). Steepest was the famous Angliru climb in Asturia (26%). Lots of facts, but some nice photos and stories. 22 full days of cycling (I cycled a little the first day upon arriving at Nice and cycled 81 km on a travel day). I visited around 115 mountain passes. A total of 3532 km for 22 days (161 km/day). I climbed ca. 73078 m (3322 m/day). Maximum inclination/steepness: walking: 33% up Col de Traversette in snow; 42% down Grand col de Ferret. Steepest cycling was perhaps up Monte Zoncolan with 6 km at around 15% on average. Most difficult was probably Koralpenstrasse with an average gradient of 11,2% for the final 14,4 km, which make it into one of the hardest climbs in the Alps that could be cycled with a normal racer cycle. From snow to blazing sun around Nice. From Nice to Lavamünd and back again. Découvrir la Bretagne, ses paysages, ses traditions, ses légendes, sa culture en vélo avec une cycliste bretonne. Landschaften, Traditionen und Legenden, Kultur: Die Bretagne mit einer Bretonin auf dem Fahrrad entdecken! Unrelenting switchbacks, beautiful rugged peaks and the history of the Tour de France. 27 photos and movies (movie) by Steven Hill and Rebecca Heald. The formidable reputation of the French Pyr´n´es is what intrigued me most. That the best cyclists appear to suffer like mere-mortals each year during the most crucial stages of the Tour de France is a sadistic lure of this great mountain range. Of course, I also wanted to check out, first hand, the beautiful, rugged scenery. My quiver of cycling climbs would be incomplete without the legendary Tourmalet, Ausbisque and so many others. Diari di viaggio in bicicletta e con altri mezzi in Patagonia, Brasile, Stati Uniti ed Europa. Consigli utili sui viaggi in bicicletta, migliaia di immagini ed un forum per gli appassionati cicloviaggiatori. A self-contained cyclecamping tour of Brittany in September 1999, lasting eleven days and 600 kilometres, with photos. Lake Kerkini is a wetlands wildfowl reserve in Northern Greece, with a large variety of bird and other animal life, as well as a virtually traffic-free dirt road for most of its circumference. Ideal for a day's cycletour and some birdwatching. This is a description of the area, with photos, and some hints on making the most of a trip there. The Axenstrasse is noted for its rugged cliffs that drop steeply to the dark green lake. The Gotthard railway lies below the road near the water, mostly in tunnels, while the road wound its way through short tunnels on the way to Flüelen in the Reuss valley. The Axenstrasse can best be appreciated from a bicycle with its view of towering snow capped peaks above the lake. Pictures of my Alaska bike trip/honeymoon this summer. Quest'anno mi sono spostato un po' più ad est, visitando il piccolo Liechtenstein e la parte occidentale dell'Austria, sino a Salisburgo, con un ulteriore sconfinamento nella Baviera meridionale. Sempre con la mia fida Cannondale F600, e con lo stesso bagaglio dello scorso anno. Welcome to Jørn's cycling homepage. If you are searching for ride reports from The Great Trial of Strength and the Tour of Jotunheimen and general information about tours in Norway, you have come to the right place. You can also find information and result from the local races in Trondheim. You can also read more about Velocipede (tm), a Windows based training log program for cyclists, and the Rec.Bicycles. * FAQ file. If you are cycling the net, I also have a list of other cycling related sites around the world. Want to know more about my bikes? Several times I have made cycle tours in Germany. The first time I had planned a route which went straight on, regardless of the landscape. 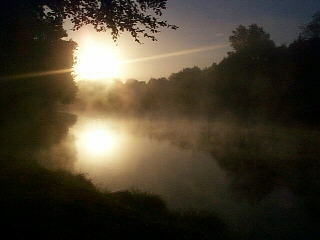 I was soon told that it was wiser to follow rivers. Then I would have more gentle gradients, and the cycle tour would become much more pleasant. In summer 2004 when Turid and I made a cycle tour in Germany, we stuck to river valleys. Since my first cycle tours in the 1960s there has been a tremendous development regarding the infrastructure for cyclists in Germany. You will find cycle routes which go through the most interesting landscapes, and those cycle routes are even sign posted. Thus we could avoid roads with much traffic and stay on pathways where we met other cyclists, and we came closer to the nature. The big picture was to fly into Amsterdam, take the train to Cologne, and then bike in 50km legs to Colmar (Alsace). Our intent was to bike up the Rhine from Cologne to Eltville (just shy of Mainz), leave the Rhine to continue south along the Weinstrasse (“wine road”) through Bad Durkheim and Wissembourg into France, on to Strasbourg and then to Colmar. Our ultimate objective was the village of Eguisheim about 7 km outside Colmar, for a total distance of 500 km. If we made it that far we’d rest our legs and play the return by ear; if we didn’t, we would park ourselves in a vineyard along the route and send postcards saying we’d made it to Switzerland! We decided to go “up” the Rhine rather than “down” for a couple of reasons, not the least of which was the north-to-south direction of the prevailing wind in the Rhine valley, which we judged would compensate for the slightly rising elevation . Because we wanted to see the small villages, as well as select big cities, we decided that our best route through Italy was to zigzag across Umbria and Tuscany. The big cities on our list were Venice, Assisi, Florence, and Rome. Some of the surprisingly pleasant small towns in between included Urbino, Gubbio, and Poppi. Not a real straight line. We had planned on 60 mile days to give us time to be tourists. We discovered however that some days clocked in closer to 80 miles, and many days had between 4000 and 9000 feet of climb. Luckily the weather was conducive to riding - Sunny and 75, but in retrospect we would have preferred fewer miles each day. 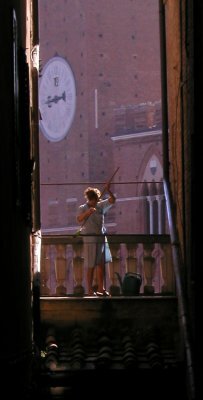 Italy is a country to savor. Welcome to the diary from our 2004 trip to Italy. Our planned route was to travel up from Rome, following the coast for the first few days, then cutting in to Florence through Tuscany. We'd get back to Rome by looping down through Umbria. In spring 2004, I spent 21 rewarding days cycling the most scenic sections of these picturesque German rivers that meander past historic towns like Tuebingen, Heidelberg and Koblenz. Nearly all the way, I rode on car-free bike paths that were mostly paved and free of big hills. Each night I stayed at a budget-priced hotel, often in the pedestrian-only center of medieval towns full of rambling, cobblestoned streets lined by half-timbered houses with tall, rakish roofs. And day after day, I pedalled along riverside bike paths that wound between steep, craggy hills with crenellated castles perched on cliffs high above the sparkling river. Half travelog, the rest of this report is packed with everything you need to know to duplicate my trip on your own. I followed roughly the coastline of the Ireland, but I didn't see the sea in the first week because I cycled trough the interior of the island, from Dublin via Kilkenny to Cork. Between Cork and Killarney I cycled mostly right next to the sea, along the coastline of the south-western peninsulas. For me this was the most exciting part. I took the bus from Galway back to Dublin. In the end I had cycled 1004 miles. England to Gibraltar, indirectly, Camino de Santiago. Pictorial personal diary, equipment list, and route guide for a 4.5 month cycle trip, Boston, England to Gibraltar. 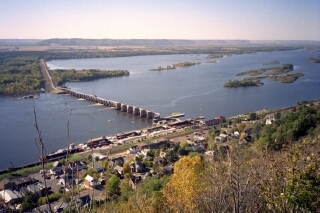 In the fall of 2000, my wife and I planned a tour around Lake Pepin for our anniversary, starting and ending in St. Paul, Minnesota. A lovely short tour in easy stages- my first tour! In 2003 I attempted Paris-Brest-Paris. I didn't finish due to knee troubles, but had a wonderful time nonetheless.